St. Patrick's day came and went while I was in Mexico, but be not concerned there is a prominent Irish Pub on the Malecon in Puerto Vallarta so the event was likely celebrated there as it is in most non Irish regions, with drunkenness. St. Patrick's day always brings to mind the saying that "God invented alcohol so the Irish couldn't conquer the World" or some such twaddle . Personally I don't believe the Irish have any greater predisposition to alcohol than anyone else, but like most things Irish they do make a big deal about it, there's another old saying that goes "You can always tell an Irishman, you just can't tell him very much" which I think has more accuracy. Back home I was presented with some St. Patrick's Day largesse by the BCLDB in the recent listing of two Irish beer brands in convenient 500ml cans, Smithwicks Pale Ale and Harp Lager. 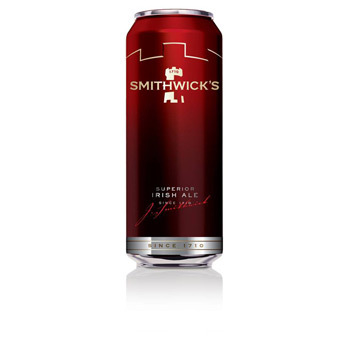 Smithwick's is a red ale which is the Irish brewing terminology for Pale Ale and was brewed in Kilkenny from the 1700s, or 1400s or since the earth was formed depending on who you read. In 1965 Guinness purchased the Smithwick's brand and brewery and the beer is now brewed in Dundalk and shipped to Dublin to be bottled there. Smithwick's, along with Harp and Guinness form the Holy Trinity of Irish beer, offering a light lager (Harp), a pale Ale (Smithwick's) and a stout (Guinness) and since all three are brewed and distributed by the giant Diageo company are usually easy to find. I won't go into great detail about Guinness because I shouldn't have to, if you're over the age of 21 and are not familiar with, and fond of the pork chop in a glass, then just stop reading now. Guinness is one of the ten best beer brewed in the world and as such needs no further kudos, but what of it's poorer cousins? Smithwick's is described as a clear beer with rich ruby colour and a creamy head and the 500ml sample I tried was both those things, the problem with Smithwick's is that it's light on hops, essential in Pale Ale for me, and flavour. Smithwick's isn't bad, it's just not as good as it should be, I mean if you've been brewing something for 300+ years I think it should be a better example of its' style than this beer is. Currently widely available in BCLDB stores for $2.25 it's priced alright but is nowhere near as good a Pale Ale as others on the market, Cutthroat Pale Ale for example, so I can't recommend this for anything other than an Irish Theme party . 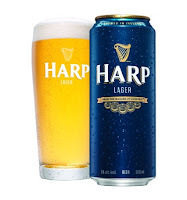 Harp Lager was created by Guinness in the 1960s as a chance to capture some of the burgeoning market in Ireland for lighter style beers that had begun in the late 1950s. 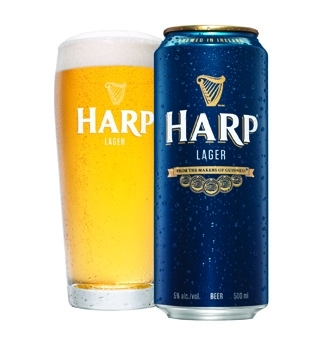 Harp was originally created in the Guinness brewery in Dundalk and then a consortium of English brewers joined in with Guinness to market the brand in Great Britain, see if there's profit and alcohol involved the English and Irish can get along just fine. 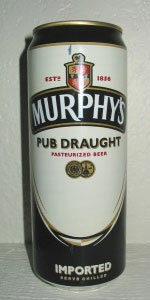 Harp is generally viewed as Guinness's Lager and as such has a reasonable product profile. A "brewed in Canada" variety of Harp has been available off and on over the years but really......why bother ? The recent listing of 500ml can of Harp at a reasonable price of $2.25 is a nice bonus for lager drinkers, this beer is better than anything domestic in the lager category I've tasted. The beer is pale gold in colour with nice carbonation, there's a nice grainy malt character to the nose and the flavours are sweet citrus with an edge of the malt. The beer has a surprisingly long finish and is very enjoyable, it reminds me a bit of real Lowenbrau, which is a good thing. I prefer my "light beer" in the pilsner vein, with more hops and less sweetness but the Harp is a nice alternative that I can recommend. 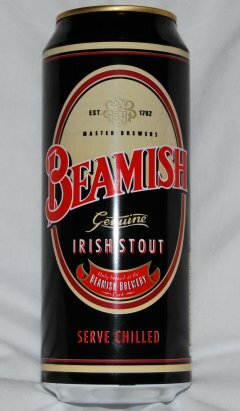 It's nice to see the BCLDB expand their Irish packaged beer listings, now if we could get Murphy's or Beamish in a can I'd be happier but that's not likely to happen anytime soon as Heineken apparently are only interested in marketing the green bottled lager Internationally, which is truly a shame.